At GOWIN Semiconductor, we emphasize investment on people and technology. More than 75% of our employees are engineers and we have design centers in Silicon Valley (California), Jinan (China), and Shanghai (China). Our executives and technology team leaders are all veterans with more than 20 years of experience in the programmable logic industry. As CEO of GOWIN Semiconductor Corp., Jason leads the GOWIN corporate strategy and product development. Jason has more than 20 years of FPGA product development experience and owns 11 US patents. Jason earned his Master degree from UCLA in 1996 and 2 Bachelor degrees from Tsinghua University 1993. As president and CTO of GOWIN Semiconductor Corp., Dr. Song leads our company's EDA development. Dr. Song has more than 25 years of R&D experience in the EDA industry, including Lattice Semiconductor and Cadence Design Systems. 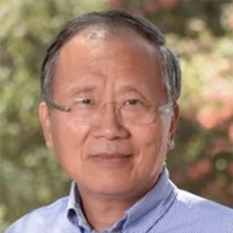 Prior to GOWIN, Dr. Song served as president of Neptune Design Automation in 2009 and earned his Doctor degree in Electronic and Computer Engineering from Portland State University in 1997. 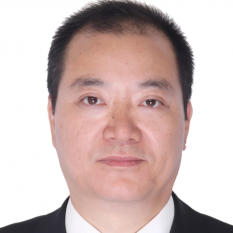 Mr. Wang joined GOWIN in September 2015 and previously served as General Manager of Siliconimage China and Senior Director of Engineering, Siliconimage China R&D Center. Mr. Wang is FPGA veteran. He brings GOWIN over 20 years engineering management experience in FPGA, SerDes and ASIC development. 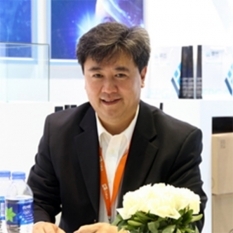 In his most recent assignment as Senior Director of Siliconimage China , he built the R&D team from the scratch and develop it to a top class engineering team, capable of HDMI/MHL and high-speed ASIC development, from conceptual to massive production. Earlier in his career, Mr. Wang worked in Lattice Semiconductor for 15 years, from a design engineer to Engineering Director, leading the whole Shanghai R&D team on CPLD/FPGA development for Lattice Semiconductor. TP holds an MS. EE and BS.EE from East China Normal University. Paul joined the GOWIN on September 10, 2015. Prior to joining the company, Paul served as the Great China sales manager of consumer BU at Lattice Semiconductor. Previously, Paul served as regional sales manager at SiliconBlue, which was acquired By Lattice Semiconductor in December 2011. Paul has more than 13 years experience in the FPGA industry and has great success in FPGA startups. 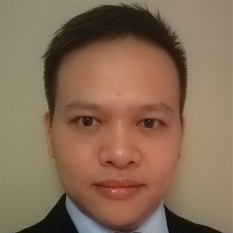 Stanley joined Gowin in June 2017 as Regional Sales Director with mission to expand Gowin sales network to Asia market. Mr. Tse owns 20 years in business development experience in Asia seminconductor market and track reocrd leading channel partners on develoing new market in FPGA industry. Before joining Gowin, Stanley served as marketing manager of Altera (acquired by Intel in 2015) and held variety technical positions in Xicor (acuquried by Intersil), NEC Microelectronics and Motorloa Semicnoductor. Stanley holds his Bachelor of Science in Electronics Engineering from Naitonal Taiwan University. Scott Casper brings with him more than 20 years of sales, business development, and general management experience in the semiconductor industry. At GOWIN, Mr. Casper heads up sales, sales operations, and business development activities for the Americas Region, leading the company’s efforts to grow the region in the consumer, communications, automotive, and industrial market segments. Prior to GOWIN, Mr. Casper was at various IP and ASIC design services companies including SecureRF, BaySand, Elliptic Technologies (now Synopsys), Inside Secure, and Packet Architects where he held regional and worldwide sales and management responsibilities. Mr. Casper holds a B.S. degree in Electrical Engineering from UC Santa Barbara and an MBA degree. Mike joined GOWIN in December 2018 and has many years of experience in the semiconductor industry. Most recently he headed up XMOS, a UK microcontroller company’s, worldwide sales activities. 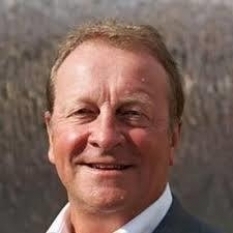 Prior to that, he managed Lattice Semiconductor Europe with over 50 people and significant business across the communications, industrial, military and automotive markets and with some of the world’s biggest companies and global brands. Earlier Mike worked on the London Stock exchange and at Microlog, a specialist UK distribution company. His sales training and early experience took place at Texas Instruments where he grew from field sales engineer to managing the TI Norway office in Oslo. He gained his B.Sc. degree in Electrical and Electronic Engineering from the University of Manchester Institute of Science and Technology.